Publishing is increasingly exploiting ICT to innovate the sector from products to processes, from supply chain to human resources, business models and user experience. What are actions and strategies that policy makers shall support and implement to sustain innovation of ICT and publishing industry? What are experiences that already provide practical examples of how integration between ICT and publishing is being pursued and the best practices we already get from other creative industries? The TISP network, connecting ICT and publishing stakeholders, has provided for the first time some operational guidelines to build an industrial policy on the needs of companies from both sectors. Portraying the voices of those initiatives that are already paving the way to digital innovation in publishing and taking hints from lesson learnt from the games sector, the workshop aims at involving actively the audience in a round table on what’s on and what’s needed for ICT and publishing towards an integrated economic growth and high level performance. If you are interested in attending this event, a pre-registration is needed. Please send an email to progetti([at])aie.it specifying name of the participant, company and e-mail address. 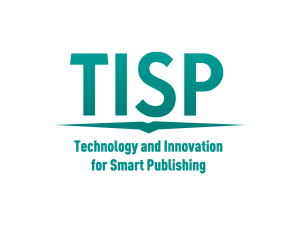 TISP (Technology and Innovation for Smart Publishing) is the European project aiming to foster the meeting between publishing companies ancd ICT enterprises, in order to stimulate new partnership and business models. TISP is a platform for sharing experiences, market analysis, business cases study. Publishing and new technologies can find, within an international network, room for a debate about innovation, where supply and demand can match to support the creation of innovative products and services as well as new technological solutions useful for the professionals of the book value chain. To this end, several professional meetings will be organized (at least four each year) in occasion of the most important trade events in the two domains, and further networking activities will go on throughout project life with different communication tools and channels. The results of the exchanges between stakeholders as well as outcomes of TISP events convene in the TISP Smart Book, a web resource consisting of a set of business cases and other relevant material that may support decision making by companies in launching new business models. Among the final objectives of the project, there is also the elaboration of political recommendations which, resulting from feedbacks of the TISP events, will be addressed to the institutions, at national and political level. Started in January 2013 with an expected duration of three years, TISP is based on a consortium of 25 organizations from 12 countries, under the coordination of AIE, Associazione Italiana Editori. 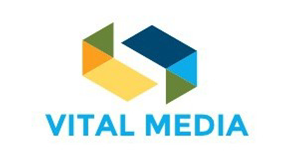 The consortium is composed by the umbrella organizations of the two sectors involved, the Federation of European Publishers and DigitalEurope, the organizers of the three world most important book fairs, Bologna Children’s Book Fair, Frankfurt Book Fair and London Book Fair, sixteen national trade associations and four research institutes.